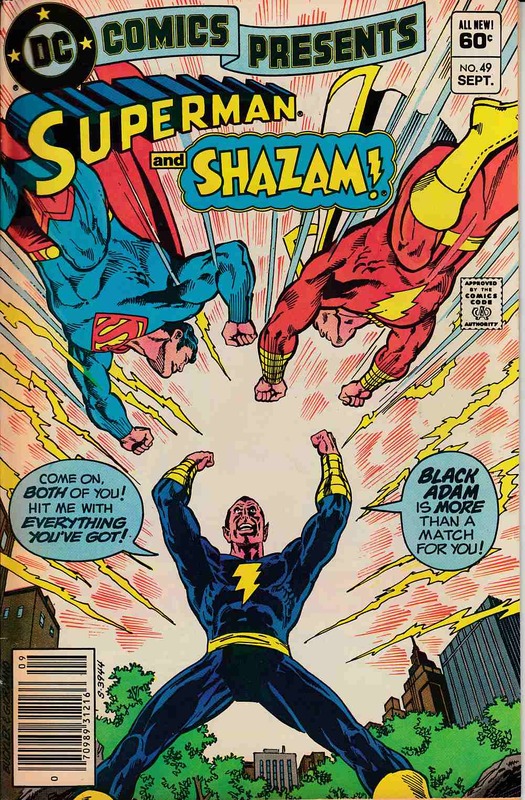 DC Comics Presents: Superman si SHAZAM!, cover iconic – Scrisa de Roy Thomas si Paul Kuppergerg. Arta de Rich Buckler si John Calnan. 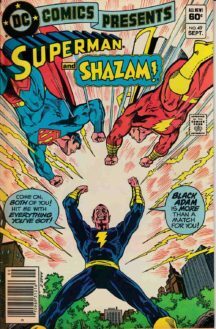 Be the first to review “DC Comics Presents 49 (Black Adam & Shazam! )” Click here to cancel reply. Magazin de Benzi Desenate, figurine, gadget-uri – vechi si noi © 2019. All Rights Reserved.